Fantastic Beasts and Where to Find Them is the first JK Rowling spin-off movie, and also a screenplay book, similar to The Cursed Child. The book and movie are both magically delicious, filled with all new magical creatures and seeing the wizarding geniuses of Newt Scamander (Eddie Redmayne) and Gellert Grindelwald (Johnny Depp). 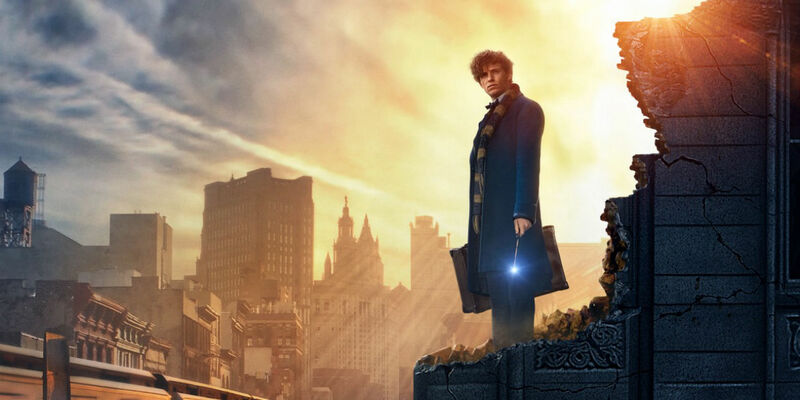 The tale is simple enough: Newt is coming to America to find a creature, as he tries to write his famous guide (Fantastic Beasts and Where to Find Them). But when his bag gets switched with a no-maj’s (American muggles), some of his beasts escape, setting off a search across New York City in an effort to recover them. All the while there is an unknown being wreaking havoc on the city, which the Magical Congress of the USA (MACUSA) is trying to get under control, whilst blaming Newt for the disturbances. Redmayne is British and quirky, exactly like his character is supposed to be, while Katherine Waterston is his perfect counterpart to help him from within MACUSA. Dan Fogler, Samantha Morton and Colin Farrell also star in this movie. Both the book and movie are fantastic and get a 9 out of 10.